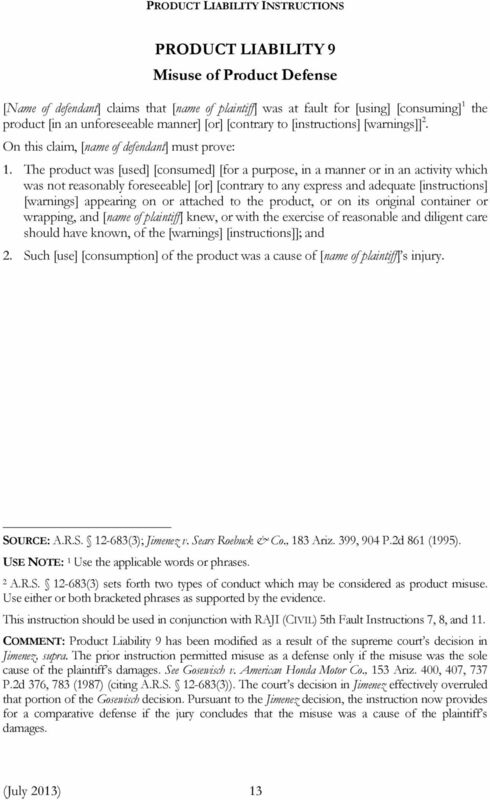 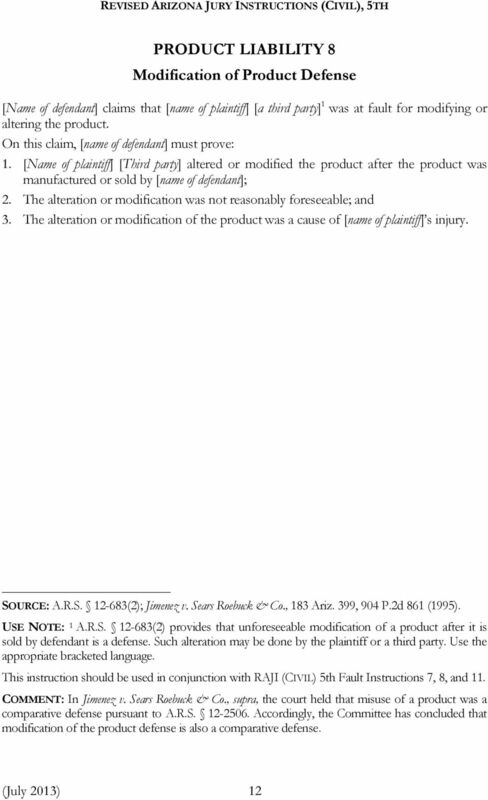 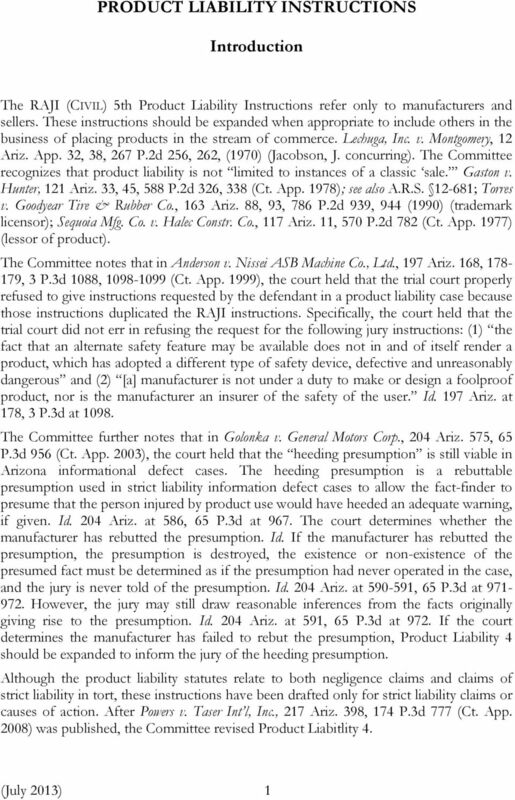 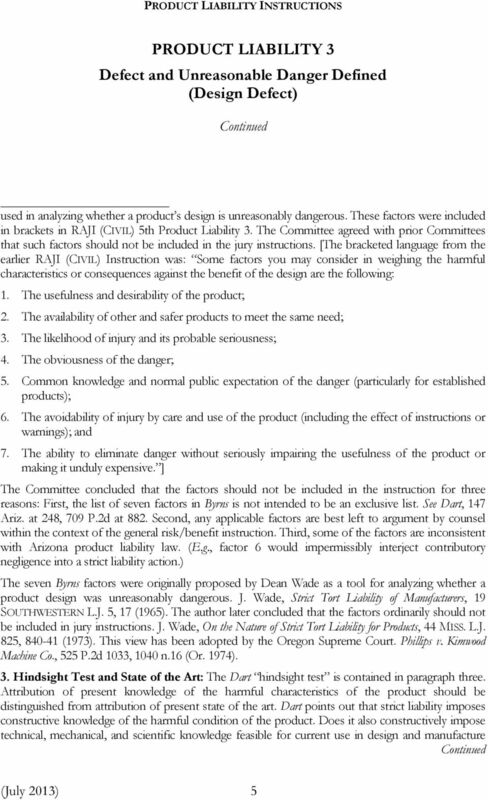 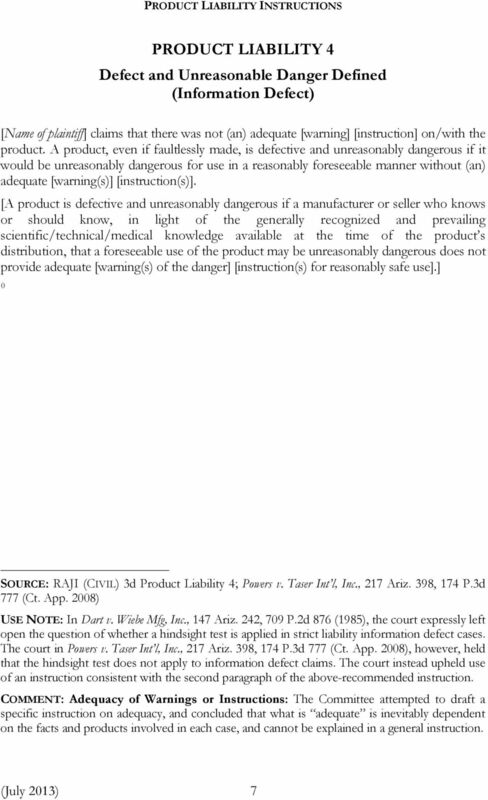 Download "PRODUCT LIABILITY INSTRUCTIONS. 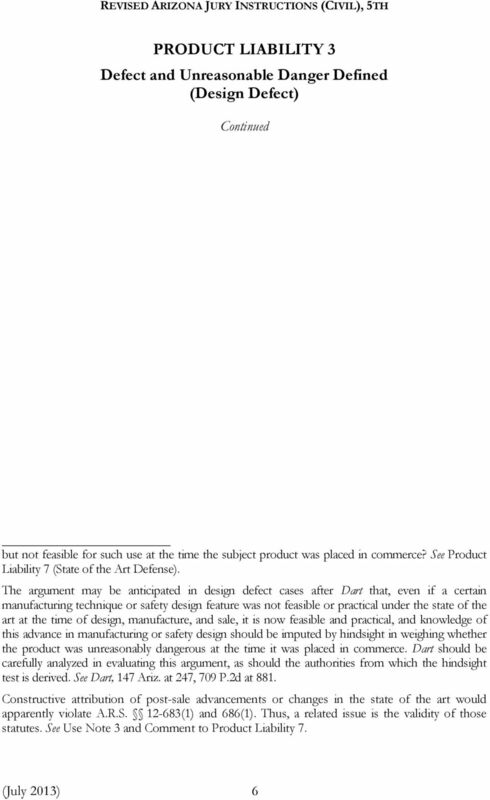 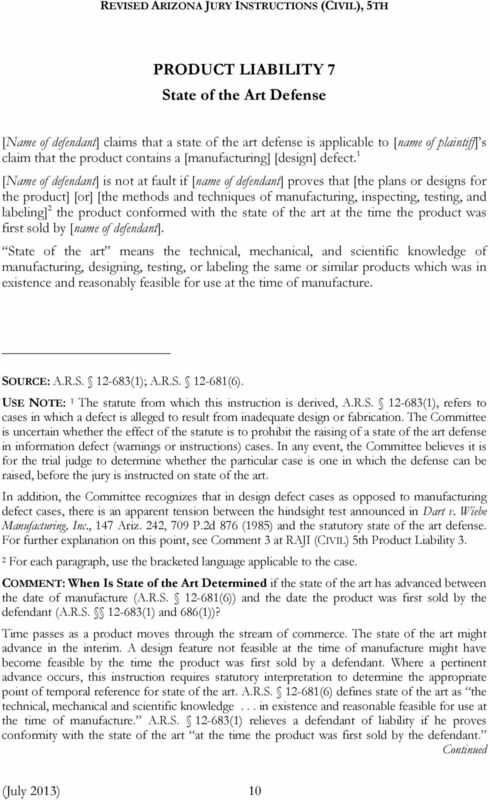 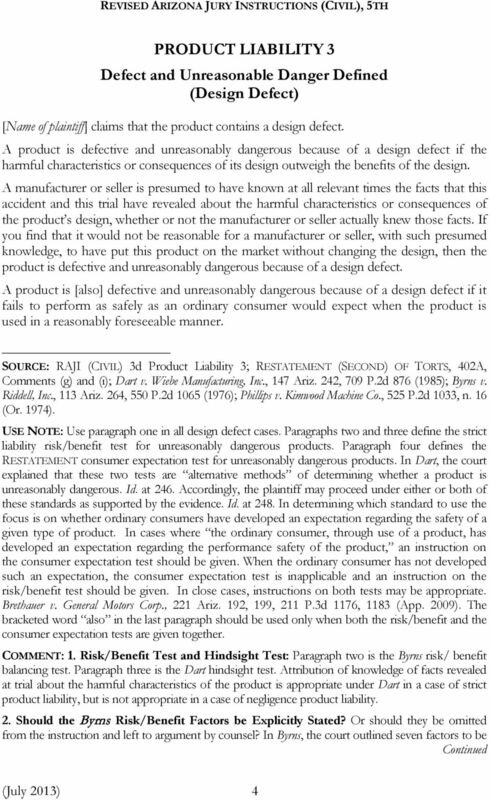 Introduction"
CHARGE 5.40D-1 Page 1 of 5 5.40D-1 DESIGN DEFECT GENERALLY (Approved 4/99; Revised 5/10) NOTE TO JUDGE A design defect may be established by different methods. 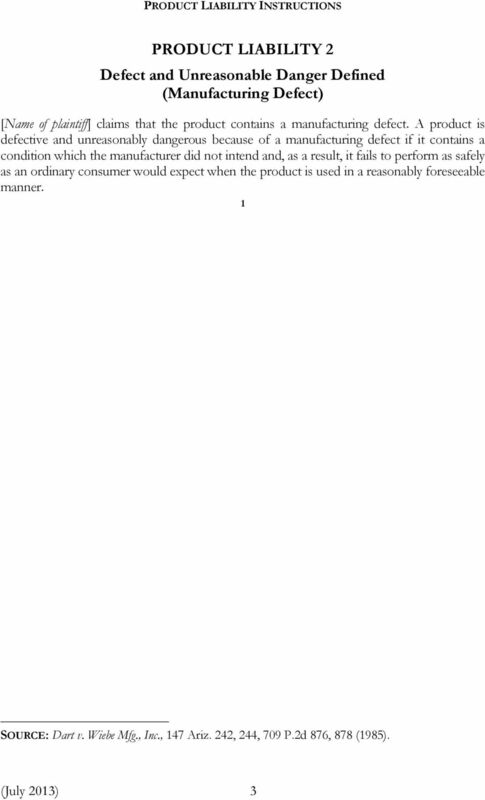 One method is the Consumer Expectations Test. 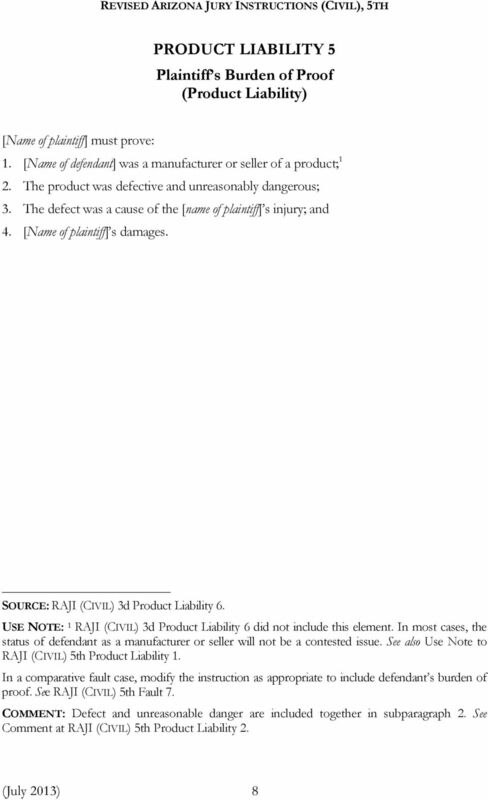 PITTS, v. DOW CHEMICAL CO.
Indemnity Issues in Product Liability Claims arising from Construction Defect Litigation Recent Cases In a recent decision, the Texas Supreme Court held that a subcontractor is a "seller," under Tex. 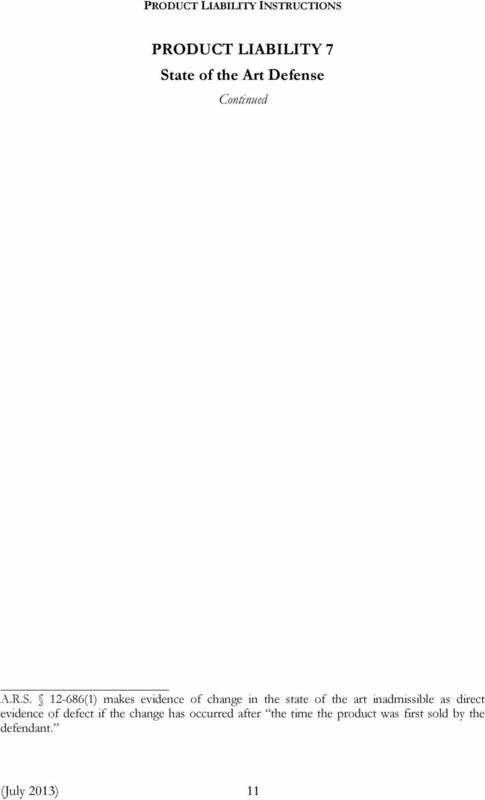 Civ. 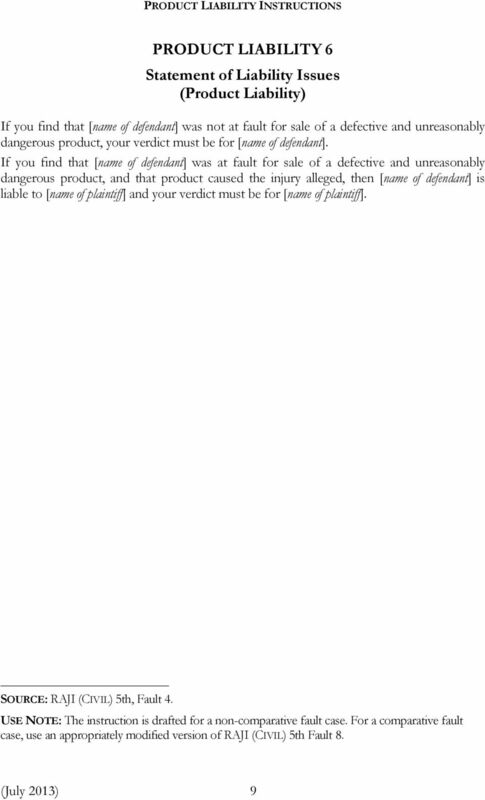 INVERSE CONDEMNATION I. 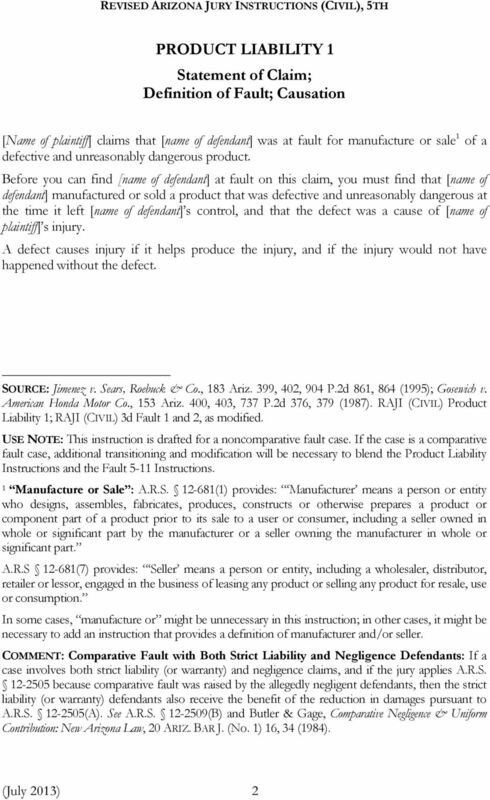 INTRODUCTION Article I, Section 19 of The California Constitution provides the basis for recovery against government entities and public utilities via the theory of inverse condemnation.